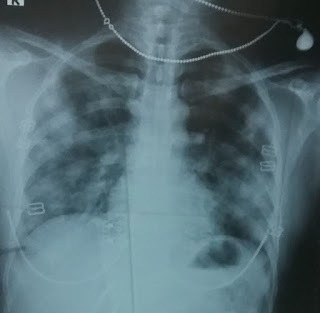 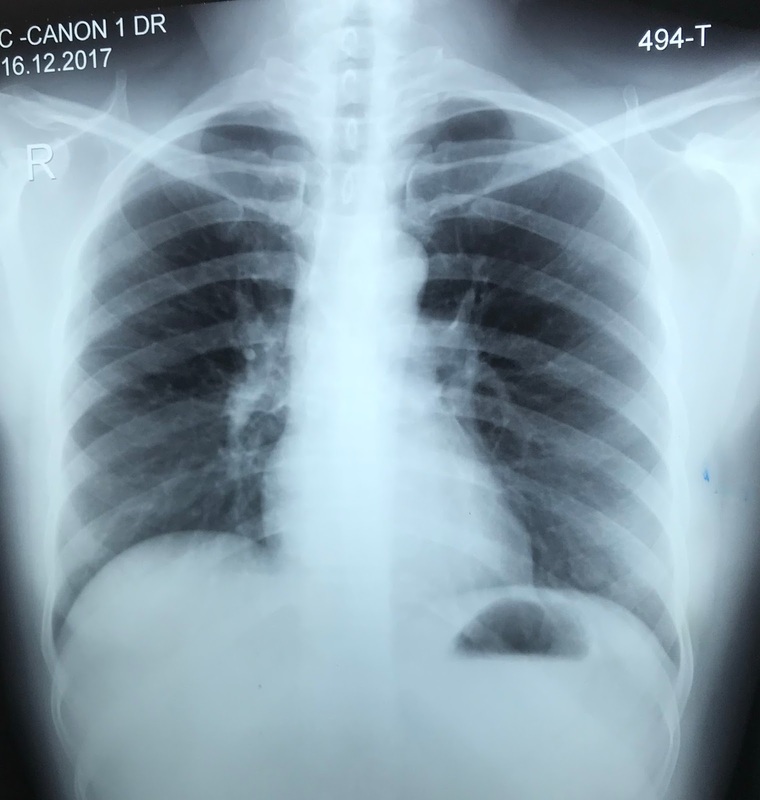 Woman 45 yo with fever and cough. 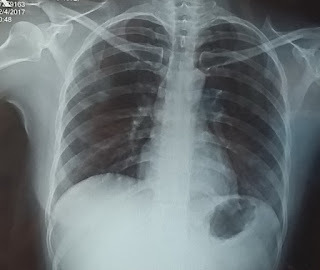 Chest XRays detected many white spots like balloon both site the lung. Radiologist suggested diffuse lung metastasis. 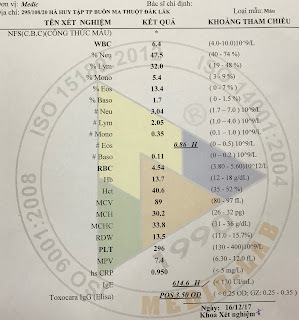 Blood tests= WBC rise 11.27 k, eosi 20,7%, IgE 1779 UI/mL. 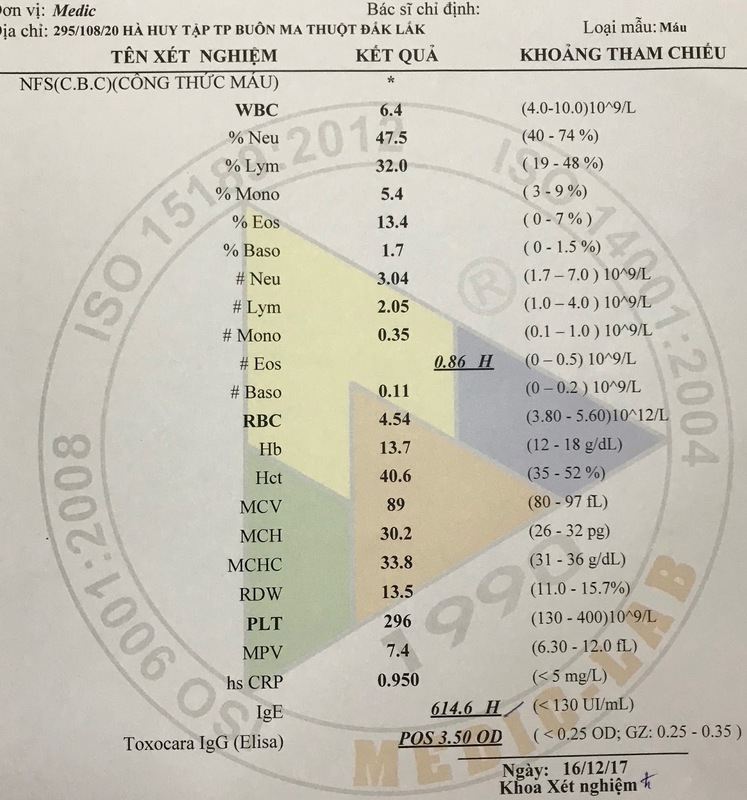 Toxocara sp positive with od 1,809 and all cancer marker are negative. 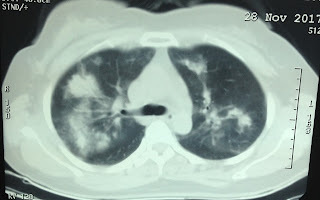 CT scan the lung with CE the lesion is small regression. After one week treatment no fever no cough. 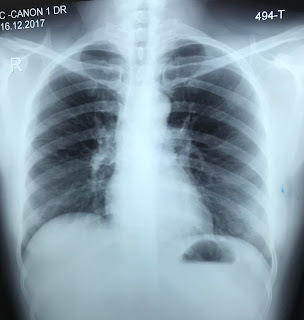 Chest Xrays is clear. 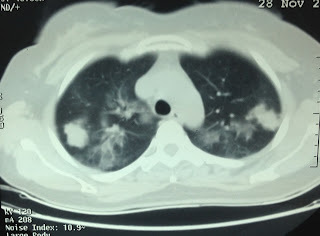 Summary: By the clinical, blood tests, chest XRays, diagnosis as Loffler syndrome of the lung was made for the case.